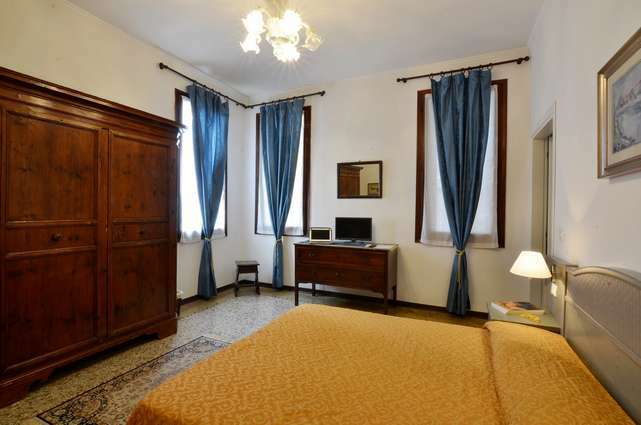 In a tranquil and peaceful setting, Ca' Turelli's rooms overlook a beautiful inner courtyard, are equipped with antique furniture in classic Venetian style and with every comfort. All rooms are non-smoking. -possibility of adding an extra bed. Children up to 3 years old stay free in a cot/crib provided by us, older children or adults have an extra bed with an additonal cost of 15 Euros per night.